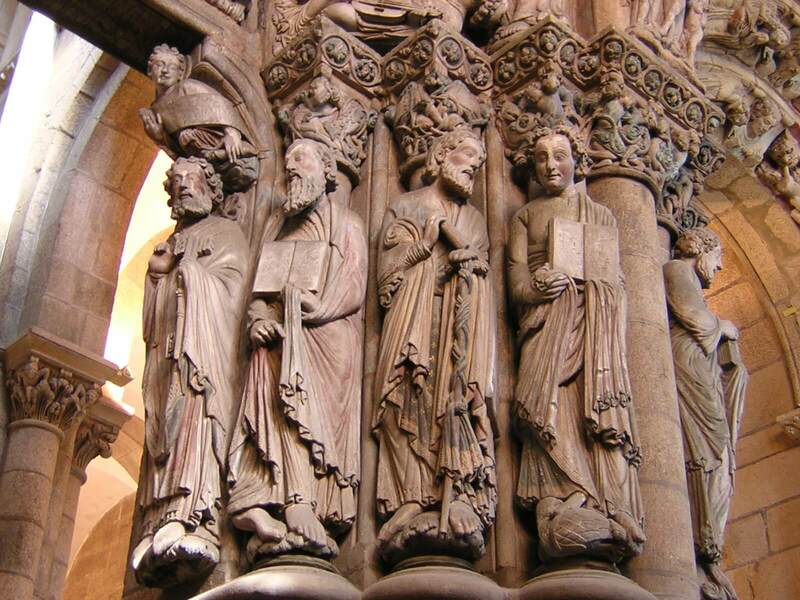 The term, the "Way of St James" in actuality, describes many Christian pilgrimage routes, dating from medieval times that journey from various locations in Europe, to the cathedral in Santiago de Compostela, Spain. It is here, in this cathedral, that the remains of St James, the Apostle is said to lie in rest. For the Christian faith, it is a most sacred site, and only to Rome do more pilgrims travel in a year. The medieval pilgrim sought indulgences here at this most holy shrine to St James and believed that they were guaranteed a place in heaven if they completed this pilgrimage. Is it any wonder that as many as could, attempted this pilgrimage at least once in their lifetime, despite risk to life, theft and disease? In recent times, walking the Camino de Santiago, as the Way of St James is known in Spanish, has had a revival among modern-day tourists and pilgrims alike. Not all that are on The Way are doing it for religious purposes, as in medieval times, however, many are walking for personal reasons, if not spiritual. There are more than a dozen Caminos from which you can choose, depending on your desire, your skill level and the time of year. Just refer to the map below! Most pilgrims chose to embark on a Camino, time and time again, choosing a new route to Santiago each time they go. This is especially true of Europeans, for whom it is a hop, skip and jump to Spain, taking sections of the Camino as their holidays allow. 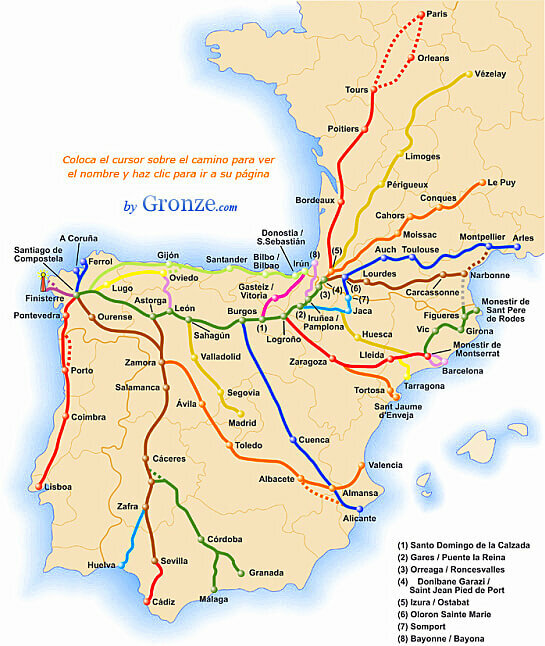 In order to receive the "Compostela" or the official certificate of completion by the Catholic Church, you must walk at least 100 kilometers to Santiago de Compostela and get a "passport" (or Credential in Spanish) stamped at least every day along the way in local hostels, churches, bars and pharmacies, to prove that you were there. If you are only walking 100 kilometers, it is best to get your Credential stamped at least twice a day. You may also ride bicycle or horse, but then you must complete at least 200 kilometers. The exception to the rule of 100 kilometers is on the Camino Inglés from A Coruña. Please click on the link for more information! Most modern pilgrims chose the most arduous of Caminos, from the French border in St Jean Pied de Port and walk over 700 kilometers (500 miles) to complete their pilgrimage travel. The stories of the personal transformations that occur on this lengthy physical journey abound. Each one is fascinating. Our fascination with the Way of St James began when a good friend of ours sent a DVD of the movie, "The Way," directed by Emilio Estevez, and starring his father, Martin Sheen. This friend said the movie reminded her of us, and thought we would enjoy it. What a synchronous event this would turn out to be. "The Way" was a very touching story, and one that, as we know now, tried to be as authentic as possible, in it's documentation of what an actual pilgrimage on the Way of St James would be like in modern times. 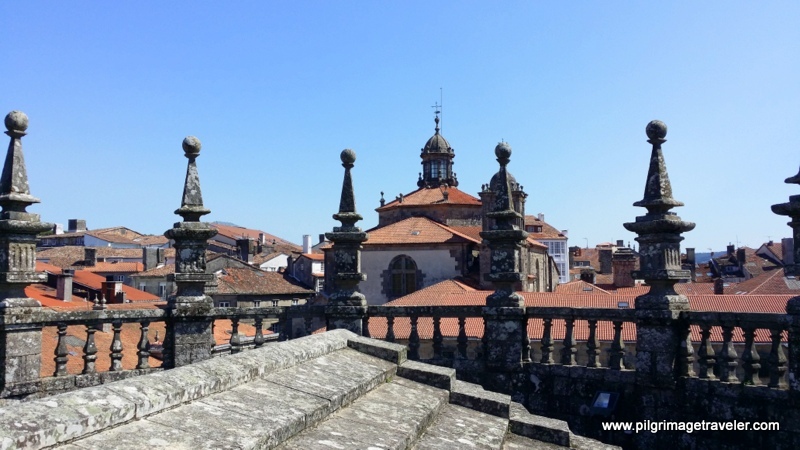 It piqued Elle's interest in doing her own pilgrimage to Santiago de Compostela so much, that she soon became somewhat obsessed with the subject. She had no idea that what was brewing in her was about to change her life. All she knew was that she must do a Camino de Santiago! Official Trailer for "The Way"
This same friend also sent us a copy of the book, "The Pilgrimage to the End of the World" by Conrad Rudolph, also describing the author's journey on The Way. Elle devoured the book in only a few hours. The true joy of destiny is hard to suppress, even though she would never have guessed that reading about and contemplating her own spiritual journey on the Way of St James was to forever change our destiny. Slowly, as Elle discussed her new passion with her husband, Rich, the desire to be a pilgrimage traveler was slowly beginning to unfold in her. He was highly interested as well. So were several friends with whom we began to discuss the possibility of their joining us on a Camino de Santiago. Souls yearn for the pilgrimage of the Way of St James! We're not sure why, we only know that the desire is infectious! We have had the fortune to travel to many parts of the world. We have always tried to be respectful of the practices that we found wherever we were, and have definitely been open to seeing things from the perspective of the ancients as well as those in the present time. With the stirrings from the tales on the Way of St James, now, our challenge was to become true pilgrims, connecting with the spiritual energy of the place. We vowed to one an other, that in the future, we would set out on not just a journey for sight-seeing, but a spiritual journey. We were to take our sense of adventure and go see the spiritual sites, the holy places, that have inspired many before us and will continue to inspire the souls who choose to travel there in the future. Do we dare to look inside our own souls and see what was there at the sacred site for us to discover? Do we dare to see more clearly the process of the sacred journey itself? For the pilgrimage traveler, the growth and the joy are in the journey itself. The more difficult the journey, and the more removed you are from your comfort zone, the more meaningful and growth-producing it is! 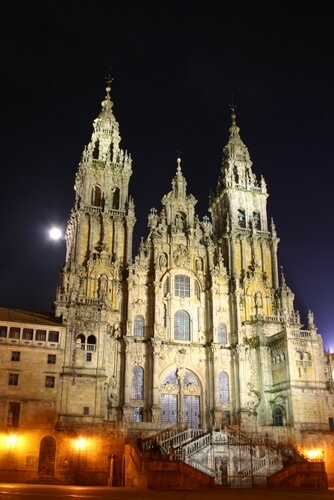 The frosting on the cake is when the destination is as glorious as this amazing Cathedral of Santiago de Compostela. What closed heart would it be to stand before this great cathedral for the first time and not be awe struck? Won't you step back in time and take a spiritual journey with us on the Way of St James to this grand cathedral, and open your heart to the possibility for transforming yourself along the way? Whatever your spiritual goal for deciding to make the arduous journey, your personal Camino de Santiago, you will not regret it! It will change you forever! *Santiago.de.Compostela.Catedral.Noche". Licensed under CC BY 2.5 via Wikimedia Commons. **Apóstoles del Pórtico de la Gloria" by pedronchi - Flickr. Licensed under CC BY 2.0 via Wikimedia Commons.